The World Bank’s recent study of South African tertiary education is enthusiastic about community education and training colleges (CETCs), suggesting that the North American success with community colleges could be a source of inspiration for this country. The 2019 Budget is enthusiastic about them too. While public university enrolments are projected to rise by just over 5% between 2018/19 and 2021/22, and enrolments in technical and vocational colleges are projected not to rise at all, CTEC enrolments are expected to rise by nearly 30%, from 320 000 to 414 000. So what do these colleges do? What state are they in? What are the plans for their development? In an attempt to offer education to those who had missed out on education in the apartheid years, the Department of Education introduced four levels of Adult Basic Education and Training, now renamed Adult Education and Training (AET). Cumulatively, they are designed to take learners from no education or training to the equivalent of Grade 9. Learners with some, or complete, primary education can enter the system at a level appropriate to their knowledge. There are nine CTECs, one for each province. However, there are many sites of delivery (known as Community Learning Centres) within each CTEC, with 2 795 CLC’s active throughout the country in 2016. Successful completion of AET level 4 results in the issue of a General Education and Training Certificate: Adult Basic Education and Training (GETC). This is a 120 credit qualification, requiring 1 200 hours of work, inside and outside the classroom, for the average learner. Learners must take unit standards (modules) in Language, Literacy and Communication, either Mathematical Literacy or Mathematics, and Life Orientation. Additionally, they must take modules in either three academic areas or one vocational area plus a selection from a miscellaneous list. CETC enrolment statistics are available for 2016. 44.8% of the 273 441 enrolments were at AET Level 4 and 31.3% at Grade 12. 22.1% were enrolled for AET Levels 1 to 3, 0.6% for Grades 10 and 11, and 1.1% for occupational programmes. The main motivation for enrolment is to obtain either a GETC or a National Senior Certificate (NSC), in the hope of gaining access to further education and training or higher education. Of the 122 619 AET Level 4 learners, 100 480 registered to complete the GETC (which can be passed in stages), 78 105 wrote the examination and 28 024 passed. Learners registering for, writing, and passing the NSC reflect in the NSC statistics. There are no data on other access modes. CETC colleges are predominantly female. 71% of learners and over 75% of staff in managerial and lecturing positions were women in 2016. Table 1 sets out community learning centres and enrolments by province in 2016. What is needed is an analysis of provincial enrolments by age, level of enrolment and geographical type (metro, urban, traditional, and rural). The Community Survey of 2016 could provide this, but its CETC attendance based estimates are well below the enrolment statistics of the Department of Higher Education and Training (DHET). Enrolment is erratic, it is declining overall and rapidly declining in literacy programmes. The most recent estimates of enrolment are 262 156 in 2017 and 243 231 in the first quarter of 2018. Attendance by students and lecturers is a major challenge. Lecturers are inadequately prepared or in some instances lack relevant qualifications. There are no clear plans for lecturer development or support. Learner and teacher support materials (LTSMs) are inadequate and irrelevant, with learners relying mostly on notes. 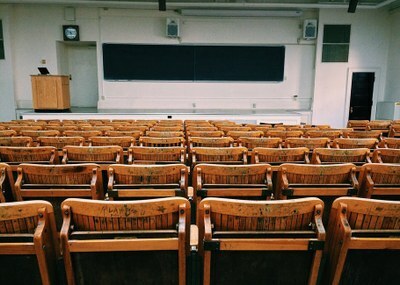 Classes often have to be conducted in other institutions (mainly primary schools) in precarious circumstances, and where dedicated buildings are available, they are in need of major repairs. Colleges have never been audited since their consolidation, and they lack financial systems. They are not compliant with the Public Finance Management Act. TVET colleges have been roped in to assist in procurement for CETCs. Conditions of service are not standardized, creating industrial relations problems. Rectification will put up unit costs, especially given that compensation of employees consumes over 90% of total expenditure. Attendance problems may explain the difference between the Community Survey attendance-based statistics and the DHET enrolment statistics, though it is impossible to be sure. Closer analysis, as suggested above, would probably show a rather incoherent pattern. Enrolments in AET Levels 1 to 3 dropped from 97 803 in 2010 to 60 448 in 2016, a decline of 38%. Between 2010 and 2017, the number of people age 15-64 whose highest education level was less than Grade 7 (AET 3 equivalent) dropped from 5 150 157 to 3 733 417, a decline of 28%. The demand for enrolments at these levels is likely to decline further. There are two fundamental issues here. The first is that a more precise view is needed of the purposes of community colleges, and how they fit into the educational system as a whole. The second is what needs to be done to transform rickety community colleges into institutions fit for purpose. Although the first question is prior to the second, the two 2018 presentations by DHET to parliament sought to answer the second question, but not the first. This would be a respectable option in an age when credentials are critical in determining life chances. It would require the smallest adjustment to community colleges. Three quarters of enrolments are just for this purpose, and this proportion is likely to rise if demand for AET Levels 1 to 3 declines. The focus would be narrowed to preparation for examinations. The question then arises: how would demand evolve. Between 2010 and 2017, the number of people reporting Grade 7 and Grade 8 (the immediate constituency for GETC preparation) as their highest levels of education dropped by 17%, and the number is likely to drop further. Despite this drop, there was an increase of 4% between 2010 and 2016 in enrolments at AET Level 4. So the propensity to enrol at this level has risen, and the question is whether it will rise further at a rate which continues to offset the decline in potential enrolments. A small drop in AET Level 4 enrolment seems most likely in the short term, given 2016, 2017 and 2018 total enrolments. On the other hand, the number of people reporting Grades 9, 10 and 11 as their highest levels of education rose by 16% between 2010 and 2017, and enrolment at the NSC level rose by 19% between 2010 and 2016. The rate of increase of the constituency is likely to slow, but it will remain positive in the short and medium term, and propensity to enrol may increase slightly. So the balance between GETC and NSC enrolments will shift towards the latter. Increasingly, community colleges will become ‘finishing schools’ for adults. The trend in enrolments as a whole is difficult to predict, but it is likely to be at best a slow increase, certainly below the 30% over three years projected in the 2019 Budget. Offer one year certificates or two year diplomas. Be open to everyone who has an ordinary NSC, or a NSC for adults. Combine a core liberal arts curriculum with vocationally-oriented professional courses. Involve the negotiation of a demarcation between N4-N6 qualifications offered by TVET collegesand new qualifications to be offered by CETCs. Involve the negotiation of pathways between the community college programmes and universities. This would be a radically new departure, adding a new function to CETCs quite different from promoting adult school catch-up. If there were a decision to choose it, several years of planning would be required before enrolments could be opened, and the changes to infrastructure, staff qualifications, conditions of employment, management (especially financial management) would all be impacted. CET colleges would have to link directly with the work of public programmes, in particular the Expanded Public Works Programme (EPWP), Community Works Programmes, the state’s infrastructure development programme, the Community Development Workers Programme and Community Health Workers programme. Connections with SETAs and government institutions promoting small, medium and micro enterprises. Non-formal programmes should be aligned strongly to local contexts. This will require thorough research and analysis of local economies and labour markets. A long list of possibilities are listed for non-formal training, and the lists do not exhaust the possibilities. Occupational programmes in CETCs have not attracted many enrolments, and enrolments dropped sharply from 9 705 in 2011 to 2016. Some public programmes, such as the EPWP, employ people for periods shorter than required for effective training. Establishing links and carrying out research is both skills and labour intensive. Diverse local initiatives run counter to standardization of employment. The CTECs now have councils and academic boards. Academic boards are considering programme diversification. The South African Institute of Chartered Accountants has been contracted to build the financial capacity of CTECs and recruitment of senior financial advisors to the CTECs is under way. Slow progress is being made on a unified approach to post provisioning, conditions of service and lecturer qualifications and placement. A dedicated unit to deal with infrastructure planning and needs assessment has been approved. CETC colleges are monitored on a quarterly basis by DHET. Development of AET Level 2 LTSMs is complete and Level 3 and Level 4 LTSMs are being finalised. Several more years will be needed to create a tolerably coherent system. CTECs are not going to increase their enrolments by 30% in the next three years. They are, however, likely to need all the money allocated to them in the MTEF, and more. Given an annual growth rate of 7.0% in current prices between 2018/19 and 2021/22 (implying a constant price growth rate of about 1.5% per annum), the real per capita spending per student will hardly rise even if enrolments remain constant. If enrolments rise, real per capita expenditure may even fall. Substantial upward pressures on unit costs are likely to follow unified conditions of service, and any improvement of premises will add further costs. It is time for much more serious thinking about the future of this sector. Chosen from Human and Social Studies, Natural Sciences, Economic and Management Sciences, Arts and Culture, Technology and an Additional Language. The lists include training for early childhood development, community development works, co-operatives and entrepreneurs, home based care, parenting and child care, civic education and activism, information and communication technology, arts and crafts, driver’s license, life skills and voter education.